I am proud of my nickname “Mother Grizzly of Marblehead” from 2003 in this story by Lisa Capone for CLF Matters. 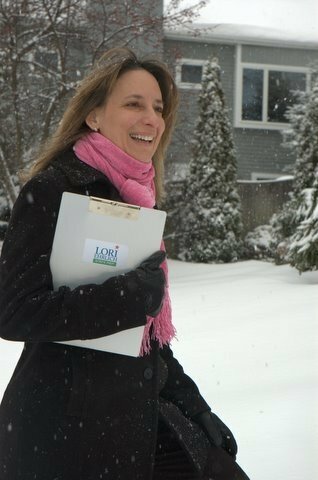 Before I ever ran for office I already had a decade of volunteerism under my belt, bringing local issues to the state level and getting results. This journey started for me in 1997 when my toddler-age daughters were playing outside on a hot summer day and tracked greasy black footprints onto the white tiles of the kitchen floor as they ran around the kitchen table singing a song from Sesame Street. When the local coal-burning power plant owners responded to my query about the soot on their feet that they tracked in from the deck with an offer to power wash my deck as long as I released them from liability I was dismayed and felt they had really missed my point. It was never about the condition of the deck. Liability had never even occurred to me. My concern was for the health of my family and my community. The power plant would regularly clean decks, cars, curtains, and boats , but who would powerwash our lungs? We already had cancer and asthma statistics off the charts. This was an epiphany for me and a turning point in my life. I began to speak out and write letters to the local newspaper about my experience and concern. In very little time, a group of unlikely activists had come together to found a citizens action group we named "HealthLink". HealthLink organized community action sometimes in the form of letters, phone calls, or protest, and often in the halls of the Massachusetts State House, Congress, and the White House and played a leading role in tough state regulations for old coal plants. It didn't take long before my activism for clean air led me to discover another coal-burning related problem -- a toxic mess that had, over decades, contaminated the drinking water for 80,000 local residents in Salem, Beverly, and parts of Wenham. Since the power plant was built in 1954 the solid waste left behind from burning coal, known as fly ash, was carelessly and illegally dumped right next to the Wenham Lake reservoir. Over the decades, the waste pit had been carried downstream and now sat six feet deep in the drinking water. I teamed up with Jan Schlichtmann, Beverly resident, and the lawyer behind the groundbreaking environmental law case in Woburn that inspired the book “A Civil Action”. Through citizen activism, science, and legal action we convinced the original owners of the power plant, New England Power which was bought by National Grid, to clean up their mess, The cleanup spanned six years and cost an estimated $10 million, thus preserving the drinking water for generations to come. The coal power plant shut down as well, improving the quality of life for all the surrounding communities. My quest for clean air and water in my community illustrates the need for perseverance when truth is on your side but power is not. I will never forget the grassroots lessons I learned from this fight. Armed with facts and passion we were able protect the health of an entire region of our state, and reduce harm to the planet. The deep respect I have for the grassroots is a reservoir I draw upon daily while serving my community in the State House.